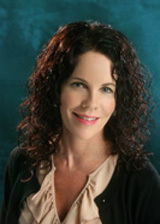 Kathleen M. Thompson is a member of Gardner Trabolsi & Associates. Kathleen has over 22 years of experience as a trial attorney devoting the Majority of her practice to personal injury, property damage, premises liability, & product liability claims in State and Federal court and to handling appeals brought before the Washington State Court of Appeals and Washington Supreme Court. prosecution and defense of all damage claims. Etter McMahon Lamberson & Clary, P.C. 169 Wn.2d 884, 239 P.3d 1078 (2010). 150 Wn. App. 96, 206 P.3d 1264 (2009). 153 Wn.2d 834, 109 P.3d 402 (2005).